The company was founded in 1982 as an independent business by the group with focus on domestic trade activities. Its corporate office is located at Sana'a, republic of Yemen with its branches in Sana'a, Taiz, Aden, Hodeida , Mukalla and Sayun cities. 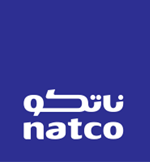 It gives me great pleasure to welcome you to natco's Holding website.